Is the Stanley Hotel haunted? 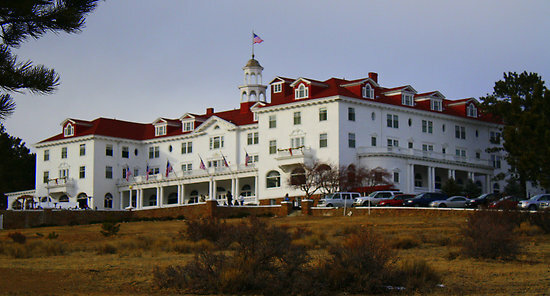 The Stanley Hotel opened on July the 4th, 1909. It was built by Freelan O. Stanley of Stanley steamer fame. The hotel was built with luxury in mind and has housed some very famous people, including the emperor and empress of Japan, Theodore Roosevelt, and a list of Hollywood stars. It has also accommodated Stephen King and it inspired him to write the novel "The Shining". There have been many reports of paranormal activity at the hotel by both guests and staff. Investigators and psychics have said that there are many ghosts who inhabit the building, two of the most commonly known ghosts are the creator himself, F.O. Stanley and his wife Flora. Reports of Stanley occur mainly in the lobby and the billiard room and consists of witnessing apparitions of the man. Another common report is to hear piano music coming from the ballroom, this is thought to be Flora, Stanley's wife. Guests have claimed to hear the piano music when no one has been in the room, others say they have seen the keys moving by themselves. There have also been reports from guests and staff alike about seeing her apparition sitting at the piano stool. For another great site with information about this location, check out Ghost Village for their own review.